xoxo, Jen: Polish and Bottle Spam! First, a mattified I Believe in Fairies! Isn't it gorgeous this way too!? 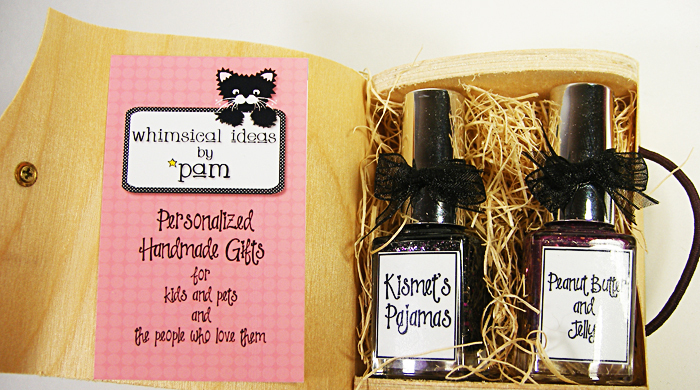 For my mani this week I chose Kismet's Pajamas from Whimsical Ideas by Pam. 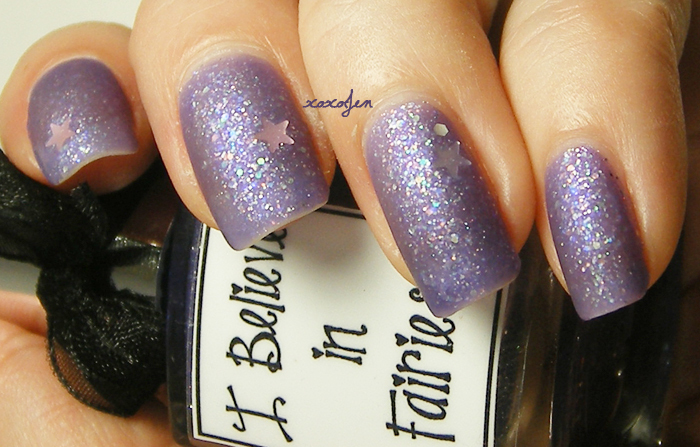 KP has a charcoal jelly base with tons of gorgeous silver and hot pink hex glitter, as well as silver micro glitter. I'm wearing this over Orly Shine, which is a silver foil topped with two coats of KP. As you can see, the jelly base builds to black pretty well. I like it both ways, but I'm a sperg and -had- to do two coats. 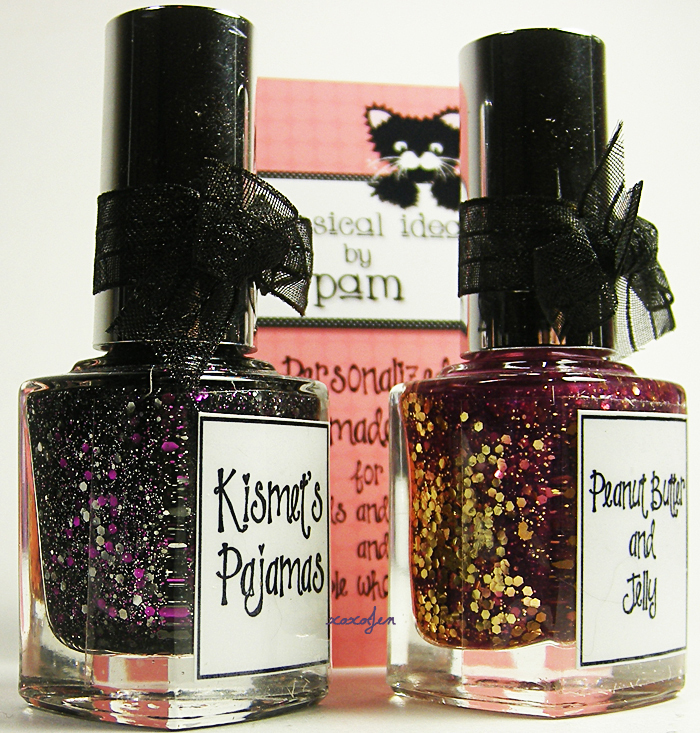 Pam's polishes are so beautiful and have such depth, I am really impressed with all three of these and cannot wait to wear Peanut Butter and Jelly! More bottle spam from the rest of my lovely nail mail! A few swaps and purchases from the blue and other Indie polish shops. Gorgeous! Please do PBJ next!! OMG I was going to say the exact same thing as Nikki!! 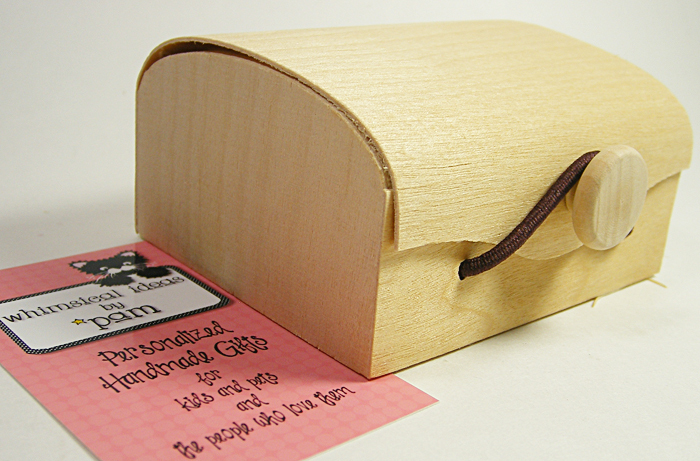 lol I am IN LOVE with PB&J!! !